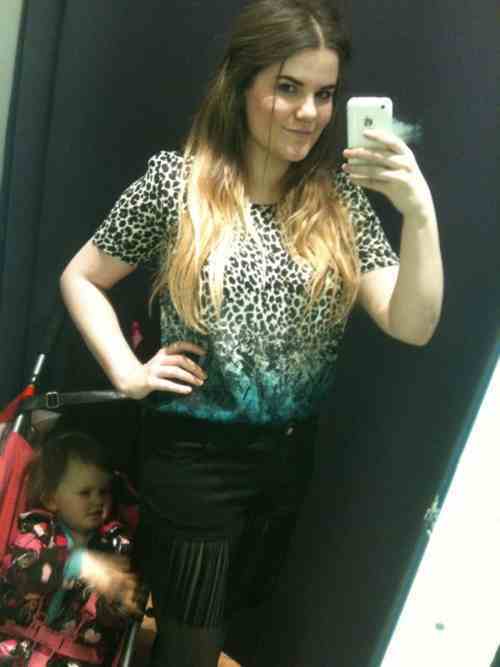 I love a good try on in Topshop. I never buy from there without trying on first, even if I'm ordering online, I try to get into a store to try on, just so I know the sizes are right, and that I actually like whatever it is I'm going to buy. I've got a girly night out planned for the second week in March, so I decided to try a few dresses on at the weekend. All of the dresses I liked were from the concessions section, so they were quite pricey! First was the bird print, wrap over dress. 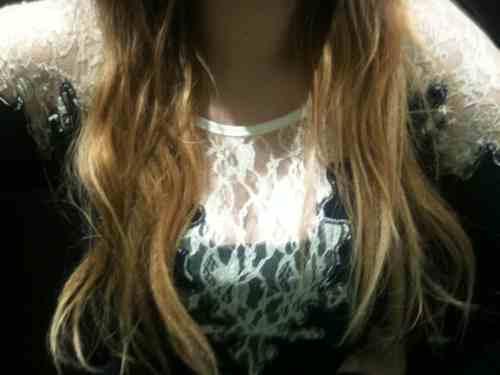 I love the colours, and the print, and it fitted me perfectly. The only thing I wasn't happy with was how low cut it is! I would have to wear a vest top of some kind underneath it, and I think it would spoil the dress... so that was no good. The second dress, I love! I'm very tempted to buy this one. 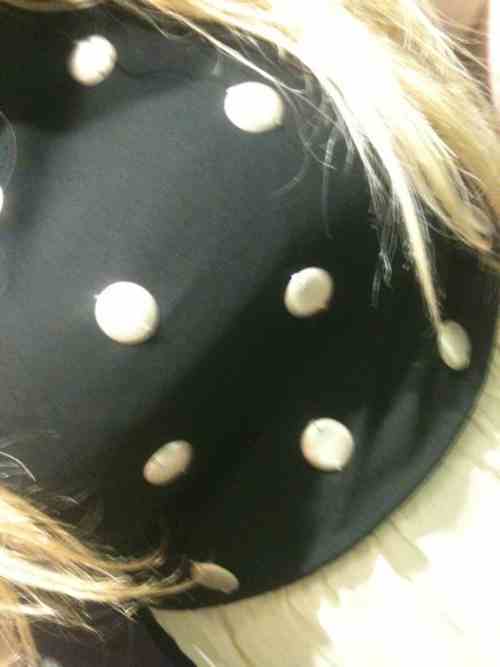 The spots on the top half are actually metal discs, which I think is quite quirky... I'm just not 100% sure about no sleeves. I'm much more comfortable with sleeves... It's a maybe! 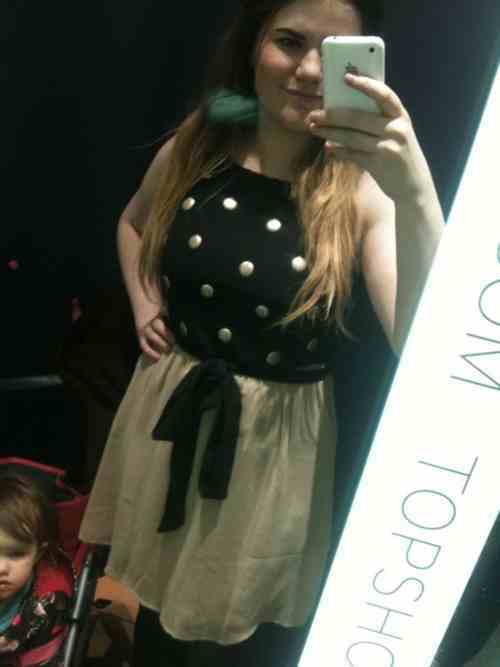 The third outfit is a playsuit, which I originally saw online, and specifically looked for in the shop. It is very small fitting, so would probably go up a size, but I do really like it. 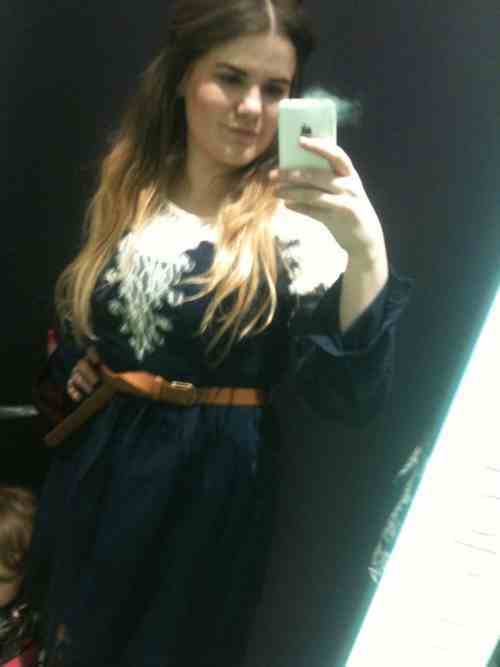 I also know that if I bought this, I would wear it again and again. I like the brown belt, and the gorgeous lace detailing... definitely considering buying this. Last up, an outfit I just randomly picked up because I loved the shorts so much and had to try them on! Aren't they amazing! They were £39 though, which I think is ridiculous! I'm going to try make my own I think, because I think they're fab. The top is okay... I just grabbed anything to try with the shorts. PS. Sorry about the dirty mirror! LOL at Elodie in the background playing with the tassels on the shorts & sorry that these pictures are dodgy iPhone ones! 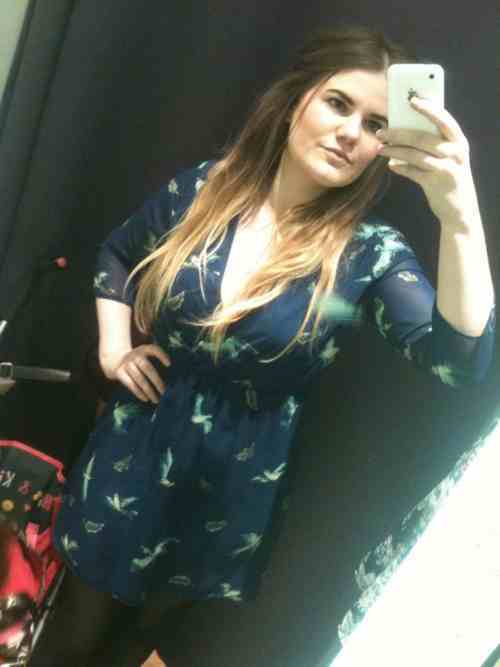 I love the bird print dress as it's my sort of thing.However, the cut of it puts me off as well. The shorts are amazing! What material were they?